Let's get down to it. I always compare new beer to my all-time favourite: Trappistes Rochefort 10 from Belgium. Well after a year of travel in 2011 and having since moved to Norway, I've finally found one that holds up to this standard. 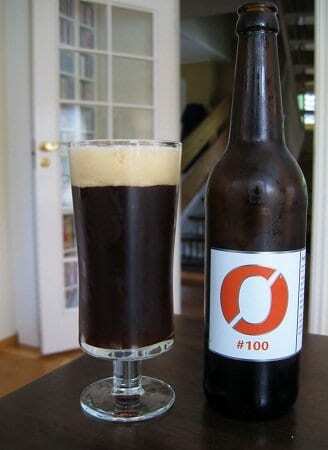 Let me introduce the Nøgne Ø #100! Quoting from the bottle, it's "a big, dark and hoppy ale that commands your attention." I couldn't describe it in any other way. It's 10% and smells beautiful while the taste leaves you wanting more. Truly outstanding and worth being in Norway just to be in its presence alone. 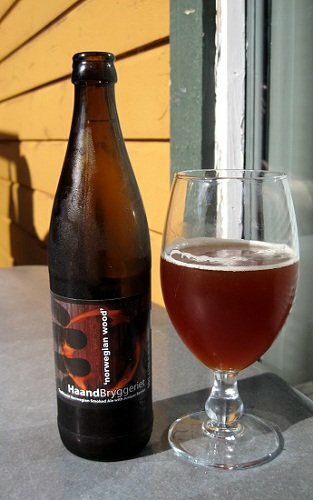 My top three Norwegian breweries are Nøgne Ø, HaandBryggeriet and Ægir Bryggeri. The range of beers they produce are amazing, with Nøgne Ø being my favourite. 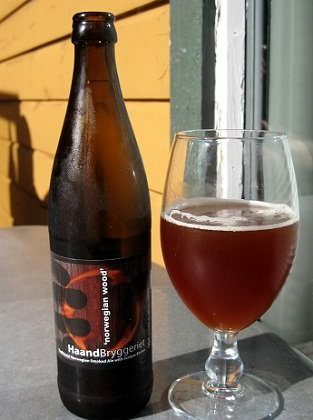 Haand's Norwegian Wood is a 6.5% smoked ale with juniper berries. The bottle tells a story that I like to believe is true: "Once every farm in Norway was required by law to brew its own ale. 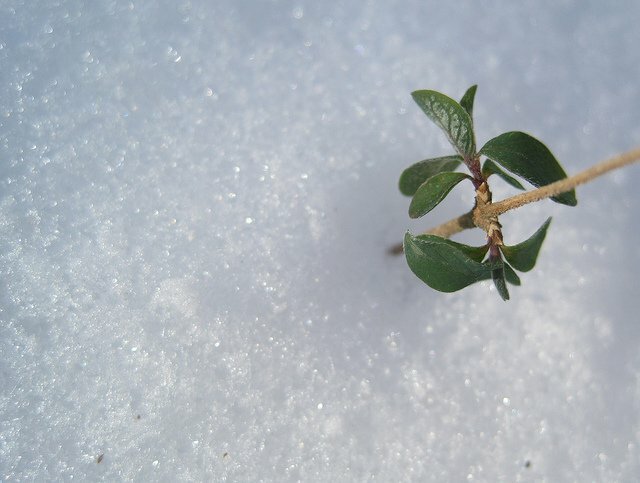 All of that ale had a natural smoky taste and most of it was spiced with juniper." It's certainly a different style and by your third sip, you'll be hooked. Haand also have the Dark Force, a 9% double extreme imperial wheat stout - it's a mouthful in name and taste. I've tried many Ægir beers on tap and in the bottle, but the Tors Hammer Barleywine left it's mark on me. Anybody who's ever had barleywine knows that this style of beer is to be 'experienced' rather than just drunk. At 13.2%, prepare yourself for a wild ride. Stavanger's local brewery is Lervig and their beer is nothing to sniff at either. Regular beers, Lucky Jack, Betty Brown, White Dog and recent arrival, Hoppy Joe (all 4.7%) can be found in the supermarket and are all very good. 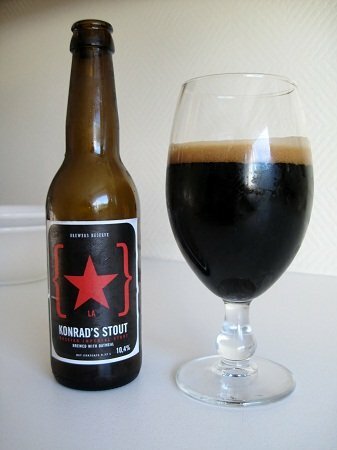 However, the one that knocked my socks off was their Konrad's Stout - a 10.4% Russian Imperial Stout, brewed with oatmeal. Just try it...please. Denmark - Midtfyns Bryghus has a 9.2% Double India Pale Ale that appears to have braille on the label. That is pure genius and a powerful drop to boot. 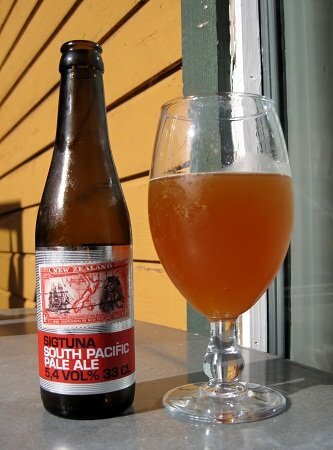 Sweden - Sigtuna has a 5.4% South Pacific Pale Ale that mentions New Zealand (the beer down there is pretty good too) on the label. Andrea had dibs on this one, but I stole a sip or two and it was awesome! 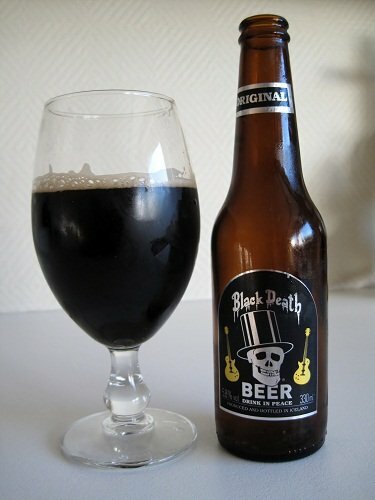 Iceland - Viking Ölgerd has a 5.8% Black Death Beer with the motto "Drink in Peace." It's dark and chocolatey and a good reason to visit there one day. Obviously, there are many more to try in this region of the world. I've tried to stick with Norwegian varieties, because the supermarkets and stores have a lot to choose from. The best way to experience local (and international) beer in Stavanger is to visit Cardinal Bar (Skagen 21) in the town centre. The decor inside is stunning and the beer menu is extensive, whether you want tap or bottle. 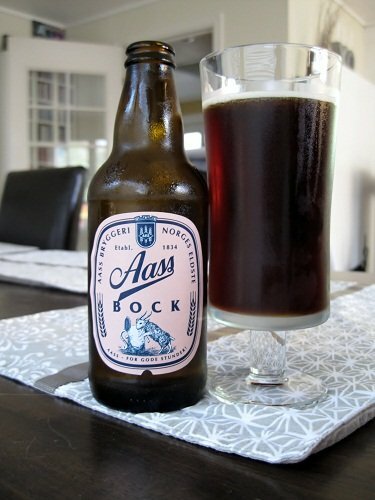 What's your favourite Scandinavian beer? Hope I didn’t build it up too much, because it’s different BUT the qualities that make TR 10 brilliant are all there…and the taste is unbelievable, which is the main thing!! Great to be of help, Laura. Trappist beers are just gooooood! My husband and I are both fans of Lervig – I prefer the Betty Brown and Joe loves the Hoppy Joe and Lucky Jack. Lervig’s pretty awesome. The Lucky Jack is one of the best American pale ales I’ve had, but I’m with you – the Betty Brown all the way! Have you been to their brewery, John? We came across it while driving and were wondering if anyone has done a tour or tasting there? 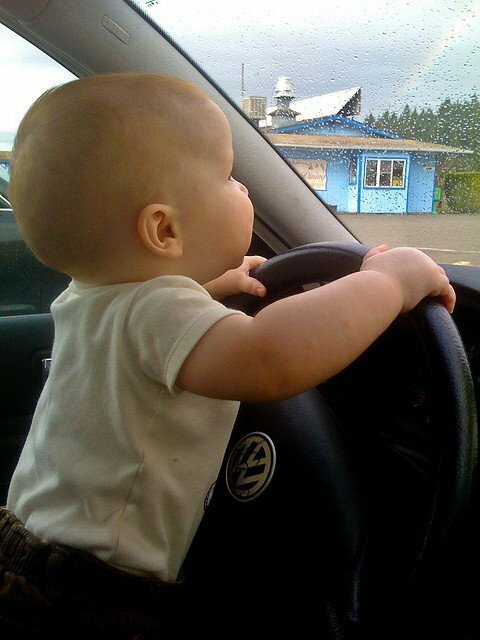 Not yet – we’ve been meaning to go but not sure if they do tours. But an afternoon trying their beers sounds like a good plan!